How much do you really know about sunscreen? UVA, UVB, Broad Spectrum, SPF 15, SPF 50, what does it all mean? Read the facts below to increase your knowledge and avoid premature aging and skin cancer. Higher SPF does not always mean better protection. When choosing a sunscreen the ingredients should be the first thing to consider. Always opt for a broad spectrum sunscreen that contains zinc oxide or titanium dioxide. These are physical blockers and keep UV rays from actually penetrating the skin and creating free radicals, which are responsible for skin cancers and premature aging. Chemical sunscreens (SPF only) allow UV rays to penetrate the skin and create free radicals. Some chemical sunscreens also contain ingredients that may be carcinogenic or cancer causing. People tend to shy away from zinc oxide and titanium dioxide sunscreens due to the “white paste” look. However, sunscreens have come a long way! Micronized zinc and titanium particles (which do not leave “white paste” on the skin) are now used in sunscreens. 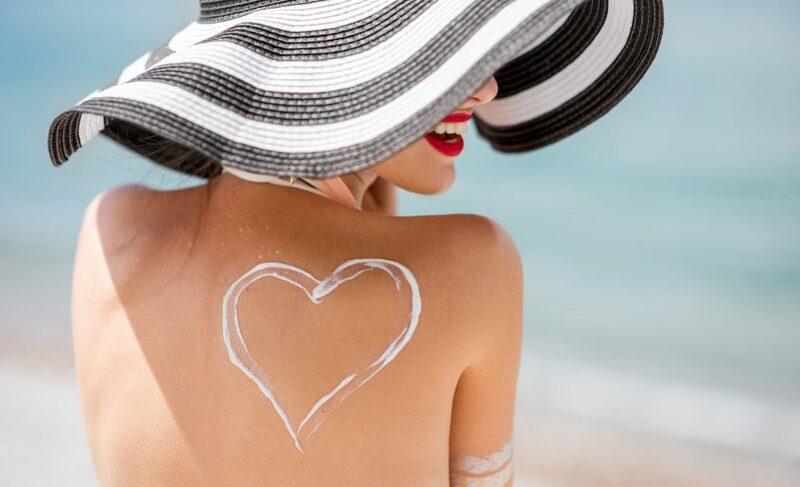 The result is a lightweight, unscented sunscreen that offers the best protection from damaging UV Rays.At Essence Laser & Wellness we offer Skinceuticals Sunscreens that contain a patented micronized zinc oxide to give the maximum protection without the “white paste” look. Higher SPF does not always mean longer protection. On average, sunscreen should be applied every two to three hours when outdoors. Within this time frame physical UV blockers such as zinc oxide or titanium dioxide wear off and chemical sunscreens are usually metabolized and excreted from the bodyAt Essence Laser & Wellness we offer Colorescience Sunforgettable, a powder sunscreen that can be applied over make-up when your sunscreen needs a touch-up as the day goes on, without having to put on a cream sunscreen over your make-up.It comes in a purse size container with a brush inside, and takes 2 seconds and no mirror to freshen up your sun-protection.It also comes in clear or colored powders. When on a beach, in or near water, or participating in physical sports, sunscreen may need to be applied more often than every two to three hours. Sand and water tend to reflect the damaging UV rays. Also, water or sweat can wash off the sunscreen, even if it says waterproofAt Essence Laser & Wellness we offer Skinceuticals Sport UV Defense to provide the longer acting protection needed for water and sports related activities. It is great if your makeup or moisturizer contains sunscreen. 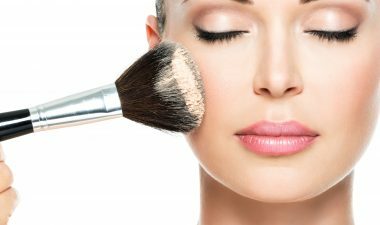 However, keep in mind it needs to be reapplied often and chances are it does not contain zinc or titanium dioxide.Mineral make-up and tinted sunscreens can be purchased that do in fact contain zinc or titanium. We love Skinceuticals, Colorescience and Glominerals. It is great if your makeup or moisturizer contains sunscreen. However, keep in mind it needs to be reapplied often and chances are it does not contain zinc or titanium dioxide.Mineral make-up and tinted sunscreens can be purchased that do in fact contain zinc or titanium. We love Skinceuticals, Colorescience andGlominerals.